I'll be short and sweet today because it's a busy Monday here. 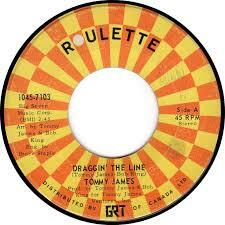 Today's Music Monday song is "Draggin' the Line" by Tommy James. I've always liked this song, which came out when I was in elementary school. This sounds like summer at the neighborhood swimming pool to me! Do you remember this one? My husband and I love Music Monday because most of the songs you feature are songs we loved as teenagers. Thanks for bringing back lots of great memories!